The Kruger National Park is situated in the north eastern part of South Africa. Its eastern border is the geographical border between South Africa and Mozambique. Its northern edge adjoins Zimbabwe. The red lines in the map below represent tarred roads, the green lines are sand or gravel roads. A couple of years ago the fences in the upper eastern parts of The Kruger were removed to allow a more natural migration of animals to take place and to allow the newly created Transfrontier Park to become populated with animals that had been decimated during the civil war in Mozambique. In 2006 and 2007 I drove more than 3,000 kms covering every publicly accessible road over a period of some 30 days. I took along a GPS and was able to create useful maps for each drive. I was also able to record much of the wildlife, flora and fauna of The Kruger National. There are many highlights from the drives and lots of lingering memories for me and I hope that in reading these many articles you find them useful in preparing your own "safari". 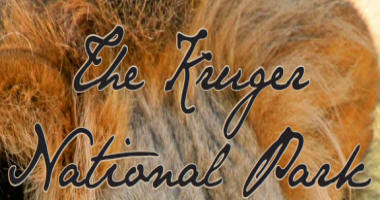 The Kruger is far more than a safe haven for wild animals in a true wilderness environment. It is more than a game reserve. It is blessed with an amazing variety of landscapes which are responsible for the significant biodiversity within its borders. It is impossible to become bored with The Kruger. 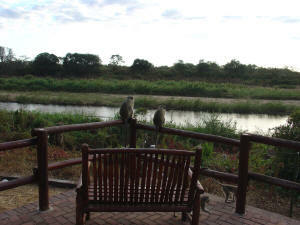 In summary I hope you enjoy this unique Kruger website and that it might even inspire you to visit this wonderful place which is far more than the Big 5 for which it is truly famous. The Kruger National Park is a BIG place. New Information Being Added To This Kruger Website! This website is constantly being updated with new info, stories and images, keep us bookmarked! In 2013 after being inspired by my fathers hard work when his book got published (Please see above) I decided to carry on with his research legacy and to gather information from all the roads, camps, hides, picnic spots, rivers, birds, reptiles, trees, mammals, insects, bodies of water and points of interest. I will do this in a completely different way to our my father approached it, so you as the end user, can make the absolute most of your Kruger National Park visit. A special emphasis will be placed on the animals; mammals from the striped mouse to the African elephant, birds from the common Laughing Dove to the rare Bat Hawk - how to find them, where to look and in general the areas where they occur... Please see below for interesting articles added more recently. Read about all of Kruger's large and small mammals, see pictures, where they occur in the Kruger Park and read interesting stories and facts about them. Using each of The Kruger's main camps as a base all the roads within these regions were explored. You can use the links to the left and follow along with each of the drives I completed. The camps in the list are from north to south. This was the order in which I made the 6 visits to the Kruger. Have a look at our new website that covers everything on the Kruger National Park, and tells you all our adventures, here: Stories Of The Kruger. Lots of video content available, an online shop, and our very own custom made map! Launched February 2018! What's in the Kruger Park? The Kruger National park is world famous for the high density of the Big 5. The map above is an example of a distribution I map created from data supplied by the KNP... each black spot on this graph represents the sighting of one of the Big 5 (in this case the distribution of elephants). Click the links below to view similar distribution maps for all the Big 5 animals found in the Kruger National Park. The larger coloured dots on the maps identify the various rest camps or Kruger Park Lodges and trails available inside the Kruger Park itself. As can be seen the density of elephants is at its highest in the north eastern quartile of the Kruger National Park. There are relatively few elephants in the western half of the Kruger. The reason is much to do with the underlying geological differences between the eastern and western portions of the KNP. Lion ... This is a map showing park-wide distribution of the king of beasts, the majestic African lion. Seen on 4 separate occasions during June 2006. Leopard ... The leopard is probably the most beautiful wild cat to be seen anywhere. It is also the most widely spread big cat but still not easily seen because of its nocturnal and stealth habits. Saw result of Impala kill in June 2006. Elephant ... the big and generally gentle giant. The elephant once seen in the wild cannot ever be forgotten. I was charged twice in May 2006. Buffalo ... So often described as the most dangerous of animals and I have a friend, Robin Morris, who can personally attest to this. He was literally saved from certain death by a ranger's gunshot that resulted in a charging wounded buffalo dropping dead at his feet. The incident happened in the 1980's in Botswana during a walking trail. White Rhino ... The white rhino is massive, and a site everybody should see at some stage in their life. Under careful supervision by armed rangers these animals can often be approached to within a few metres. The map will show Pretoriuskop as a perfect venue to see these large animals.